The idea of HoneyTree is simple, special moments in one’s life, recorded in a beautiful way. It means much more when someone has taken a moment to drop you a handwritten note to let you know they are thinking of you. 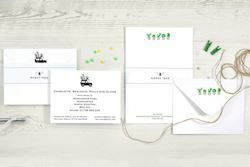 Artful stationery, beautiful and bespoke, sent with love. We are committed to premium quality materials for both our Classic and Illustrated stationery, presented in luxurious hand-made boxes. Opt for free gift wrapping and send direct to the recipient. 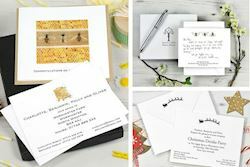 Choose from a selection of our favourites from Correspondence Note Cards to Premium Writing Paper Sets in Classic or Illustrated Designs. Children’s gifts under £20 include Personalised Postcards and Writing Sets in a Gift Tin. 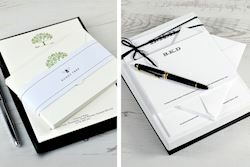 A collection of gift boxed, luxury personalised stationery - a beautiful nod to the magic of receiving, and writing, a hand-written note. Looking to gift a friend or loved one who is passionate about all things stationery? 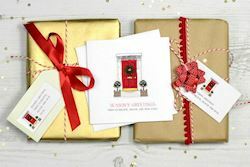 HoneyTree offer gift vouchers are personalised with a gift message. Christmas is the time of the year to reach out to the friends and family that you don't see as often and deliver a thoughtful message to let them know that you and the family are still thinking of them. Our chosen charity is The Woodland Trust. 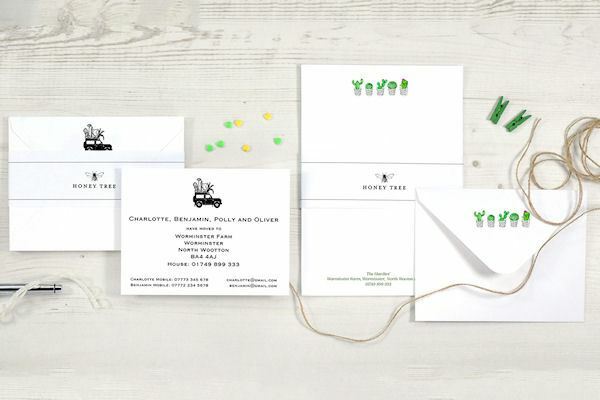 Set the tone and theme from the outset with our collection of luxury personalised Invitations and traditional Change of Address Cards. Give your lovingly created homemade produce and treasured items the look they deserve with our collection of personalised labels & tags. Mounted & framed prints featuring any of our illustrations and your own heartfelt message. For the ultimate gift, why not commission one of our artists to draw or paint something that is uniquely special to the recipient. Email team@honeytreepublishing.com, or call us on 01749 899 333.